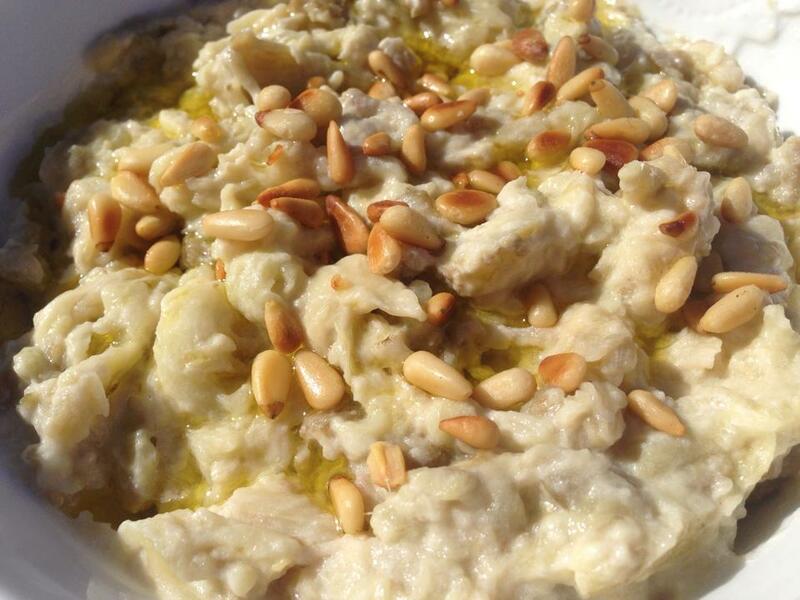 Baba ghannouj is traditionally made with tahini sauce, but this is a refreshing and light twist to this dish. I like to call it baby ghannouj. 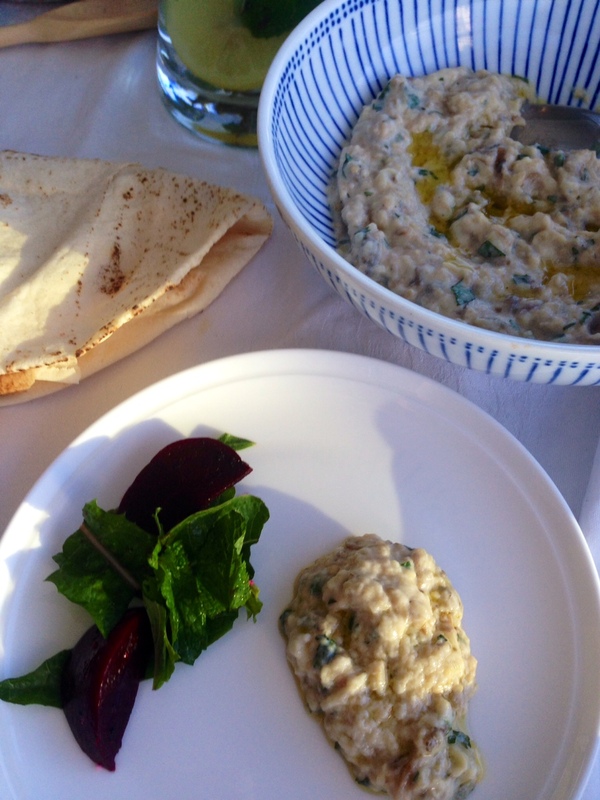 It makes a great dip served with warm pita bread or crackers, or a side dish to any meal. Add fresh mint to it, or serve it plain with dry roasted pine nuts on top. This recipe tastes really good with the eggplant cooked in the microwave, unlike the one with tahini sauce which I much prefer it with the eggplants char-grilled, the traditional way. 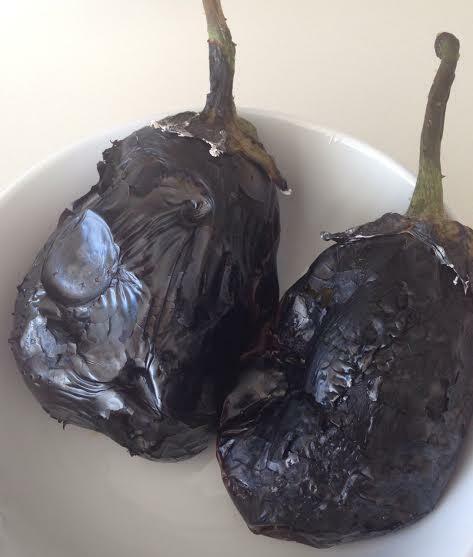 Short cut: Prick eggplant with a fork and place in microwave for 7 -8 minutes. remove, cut in half and scoop out the flesh. Authentic way: Char-grill the eggplants on top of a gas stove, open fire. Leave until skin is char-grilled and then turn to the other side until completely cooked. Remove and either rinse under running water and remove skin immediately, or place in a plastic bag for 5 minutes or so and then peel off the skin. This will give you a smoky flavour. Dry roast pine-nuts in a pan for a couple of minutes. Place cooked eggplant in a bowl and mash roughly. Add yoghurt, salt, crushed garlic and lemon juice. Mix together and add chopped fresh mint if you like. 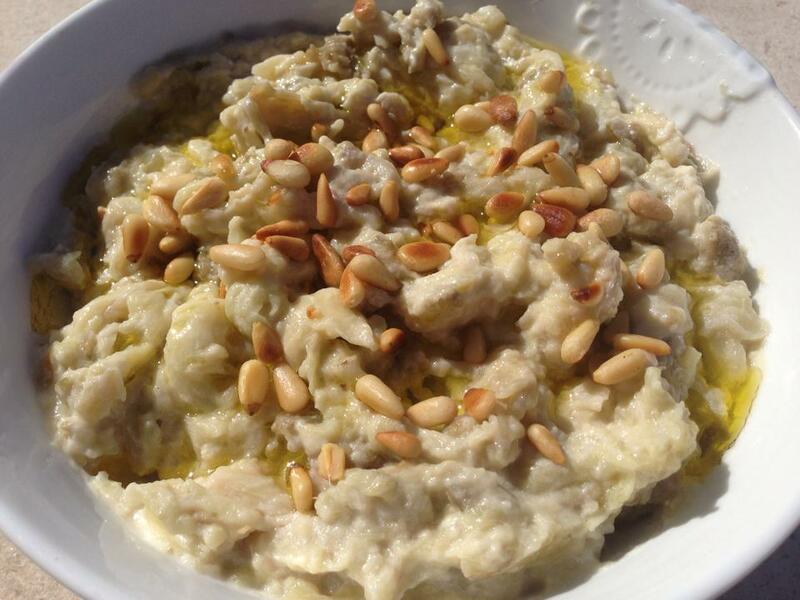 Sprinkle dry roasted pine-nuts and drizzle with olive oil and serve warm. Tags: aubergine, cleaneating, culture, dip, eggplant, food, vegan, vegetarian, yoghurt. Bookmark the permalink. Previous post ← Beetroot leaves stir fry with lemon. Yes, of course you can. This is just a variation, you can use tahini paste or simply just drizzle with olive oil, a tablespoon of chopped parsley and a diced small tomato. I like your version of baby ghannouj. Lighter and creamier. Grilling the eggplants makes a world of difference in the flavor. Can’t wait for eggplant season to be here. Jovina, it is really light and you are absolutely right, grilled eggplants are so tasty. I’m so happy to hear it 🙂 Enjoy, it is truly delicious and so refreshing, especially now in summer.